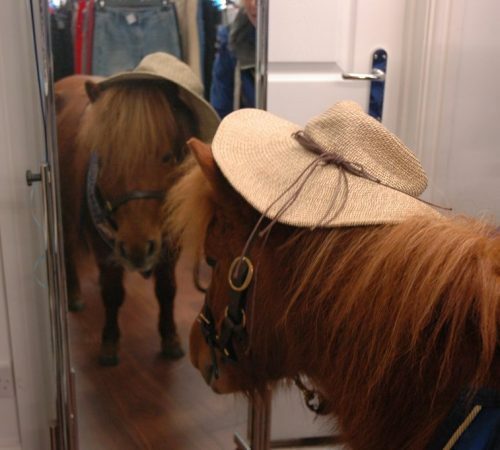 We aim to find loving, knowledgeable forever homes for as many of the horses in our care as we can. 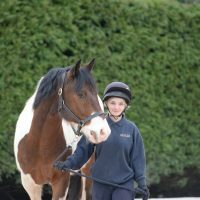 All of them deserve the chance to have a fulfilling life in a new home where they can enjoy one-to-one care and attention, whether that’s as a companion or a ridden horse. 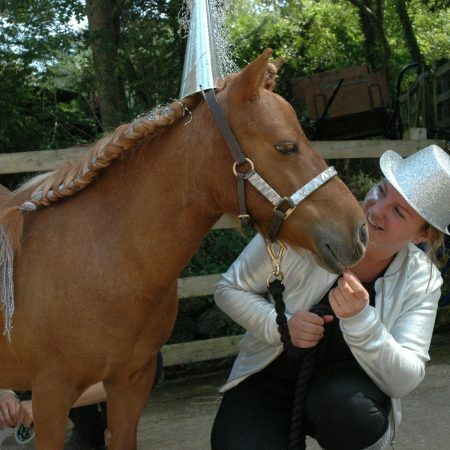 Each time a horse is rehomed, a space becomes free and we can rescue another horse. This enables us to continue to play an active part in the rescue and rehabilitation of the many horses in desperate need of our help. 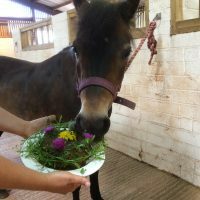 Why not adopt one of our rescued horses or ponies either for yourself or as a gift for a friend? 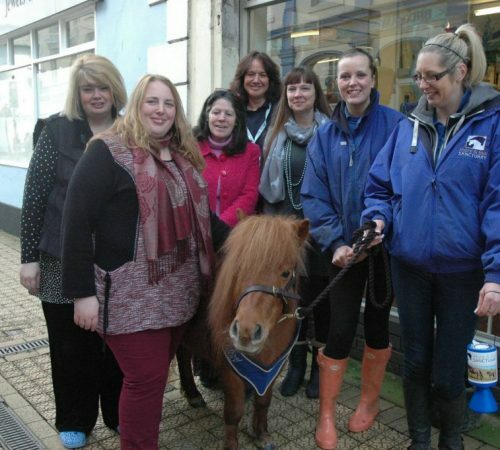 You can order an adoption pack – crammed with pony paraphernalia – online now! Adoptions offer a great way for people to get involved in the Sanctuary’s work and make the perfect gift for anyone mad about horses. The lucky person will receive a brand new welcome pack including loads of details about their chosen horse or pony. 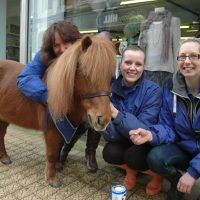 We can only continue to rescue and care for horses and ponies in need with help from our supporters. 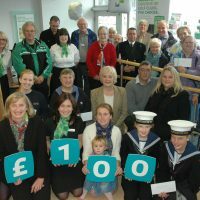 Making a regular donation every month helps us budget and plan more effectively, but even a one off donation can make a world of difference. From £5 to £50 you can help us buy antibiotics or pay for a vital vet visit and treatment. 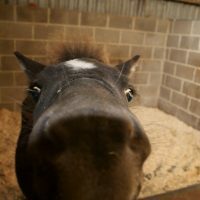 Every penny is used to make sure our rescue horses and ponies finally get the care they deserve. 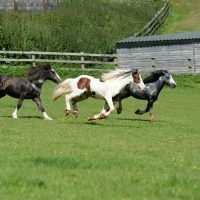 The Sanctuary’s aims are not just to rescue neglected, unwanted or abused horses but to rehabilitate, train and eventually rehome them into loving, knowledgeable environments. 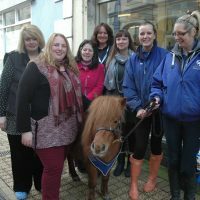 We also focus on educating the public in matters relating to the welfare of horses and ponies. 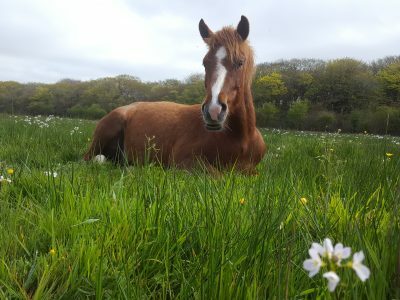 Our rescued animals come from throughout the South West and South Wales and come to us for a variety of reasons, including being abandoned by unscrupulous owners, foals who have lost their dam or come close to starving during harsh moorland winters and animals found fly grazing. Whatever the welfare call we do everything we can to save them, treat them, train them and find them useful lives with loving homes. We know that each and every one of them has their own unique character and we do everything we can to make sure they find the right forever home. Grounded in good science and inspired by the best in spirituality. About belief and no belief. All welcome. Dear all at M&F, It is just 5 months since Sapphire came to live with us and I can honsetly say we’ve never been so happy. She is everything the Sanctuary told us about her, her manners are perfect, very happy to work and good with our other horses. 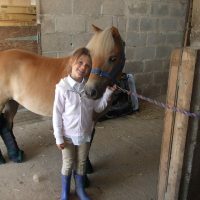 Sapphire has been to several shows doing Novice Working Hunter and Showjumping. She has many rosettes already including one 1st place. We’ve been on two fun rides when she acts like a child in a sweet shop. It seems to be very new to her. We adore her, we feel like we’ve won the lottery. P.S. We’ve recommended you to several people already. 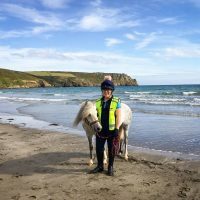 I approached the Mare and Foal sanctuary last year to see if I could help by providing a home for a horse, as I had space in the yard which was not being used. 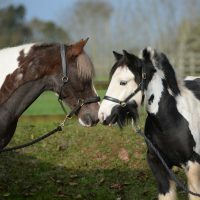 I currently have two ponies on the playschool scheme with the aim of continuing their education until they are ready to return to the centre to be backed and, hopefully, rehomed as riding ponies. 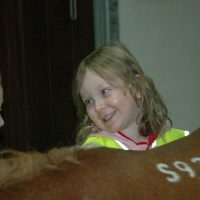 I was very impressed by the level of handling the ponies had had before they arrived, and the scheme is incredibly rewarding as you see the ponies develop their characters and confidence, while continuing their training in the knowledge that you are giving them the best possible preparation for whatever they will go on to do in the future. I have had Porscha for about 10 years now, we met when she was a yearling. She had big ears and big knees but luckily she has eventually grown into them. She loves to be groomed and fussed with. Porscha loves to go out exploring although not the boldest of horses which keeps me on my toes. She likes cross country (when she decides the logs aren’t monsters) but does find flat work hard & boring. Porscha is my Equine soulmate and I feel extremely lucky to have developed a partnership with her. She is certainly part of the family and is quite famous amongst friends. 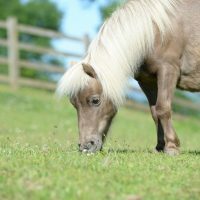 There are many things to consider when thinking about taking on a loan pony or horse from the Sanctuary, most importantly the monthly cost. You need to take a lot into consideration, from livery costs to renting a field, vets bills to annual insurance, feed and bedding options. 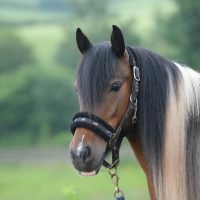 For horses kept on grass livery hay is normally only required to be fed in winter when grass is scarce and how much is required will vary depending on the type and size of horse or pony. It should be expected that some hay will be needed to be fed for around 5 months of the year with up to £10 a week being added to the grass livery costs during the severest winter weeks when grass is totally unavailable. 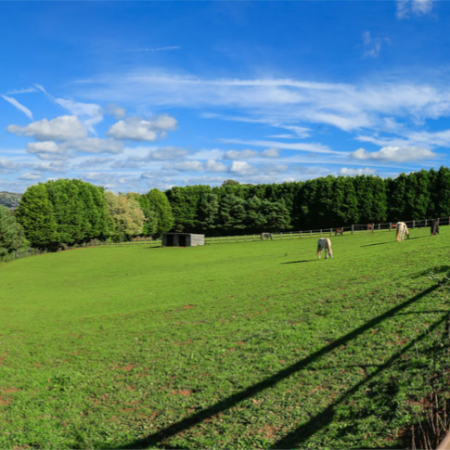 For stabled horses hay is required all year round to compensate for the lack of access to grass and can add around £10 a week to the livery costs throughout the year. Also some form of stable bedding is required, usually straw or shavings, and this can add a further £10-£20 per week. 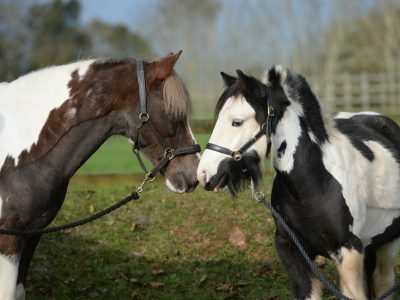 The amount of feed will depend on the type and size of horse, its exercise routine and whether it it is stabled or at grass. 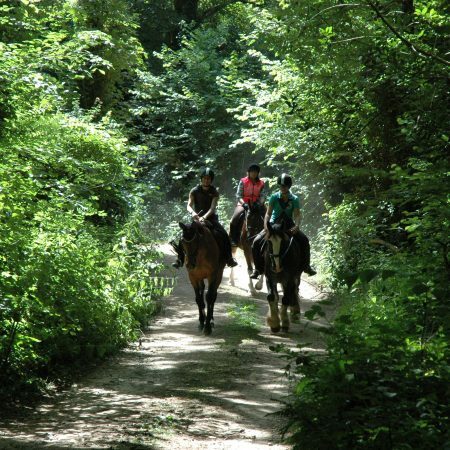 A hardy horse or pony living out all year and only receiving light exercise may need little additional feed, if any. 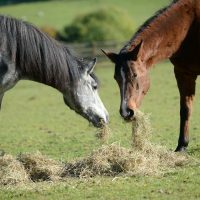 However a horse receiving regular exercise may require some hard feed and a stabled horse, with regular strenuous exercise will most often need additional feed throughout the year at a cost of around £5-10 a week. A horse or pony requires annual inoculations against Influenza and Tetanus and this can be expected to cost in the region of £35 a year for the vaccination plus around £35 call out charge from the vet. 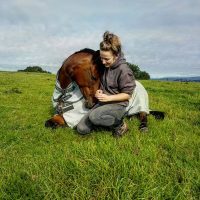 Vet’s fees in cases of illness or accident can be costly, and rather than risk having to pay out several hundred or thousand pounds for an incident many owners prefer to insure their horse. The cost of insurance to cover vets fees will vary depending on the type of cover taken and the value of the horse or pony but should be expected to cost in the region of £20-£40 per month. A horse’s feet continually grow and so even if unshod will require regular visits from the farrier for trimming. 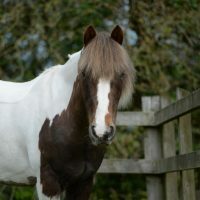 Whether shod or not the horse will require attention from the farrier every 6 weeks and this can cost around £25-£30 for trimming and £50-£85 for shoeing per visit. It is recommended that a horse has its teeth checked by a vet or equine dentist every year to ensure that there are no sharp edges or other tooth problems that may be the cause of discomfort to the horse. When problems occur more regular visits may be needed. A dentist visit costs around £50-£70 per visit. 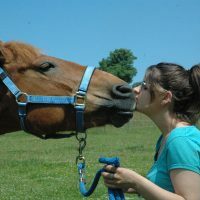 Horses and ponies need to be regularly wormed whether stabled or at grass. A wormer costs around £10-£15 and the frequency required will vary depending on the type of wormer. Added to that over the course of the year are the inevitable extra costs to replace broken tack, ripped rugs, thrown shoes and grooming products. We could not survive without the hard work and dedication of our wonderful volunteers. 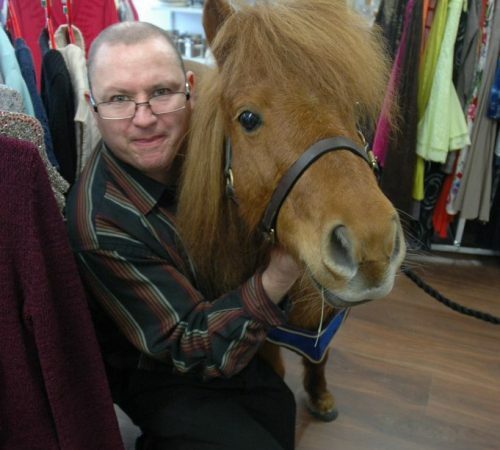 They help us in our charity shops and looking after our horses and ponies and their unending energy and support means we can look after even more animals in need. 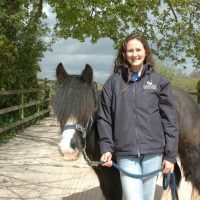 We have a variety of volunteer roles at the sanctuary. 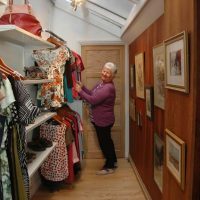 Our Charity Shops need volunteers to help sort donations, keep everything clean and tidy, as well as pricing, window dressing, serving on the till and talking to customers. 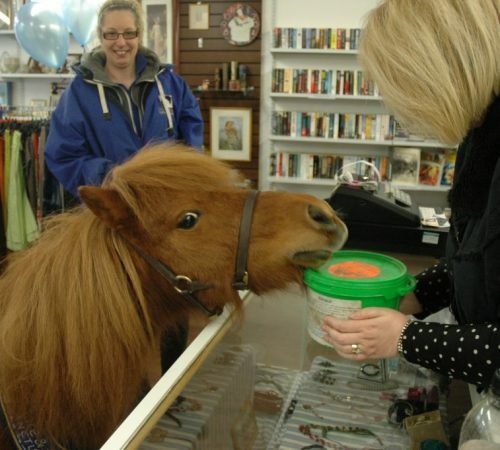 Working in the shops can be a very rewarding and interesting job. It’s also a great way to gain valuable experience and is suitable for almost any age and ability. Helping out at our many events is a great role for people who enjoy talking to the public and volunteers may be asked to direct traffic, help set up a stall or assist in a group activity. 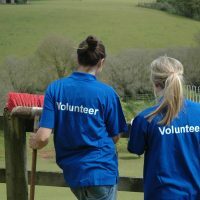 As a Meet and Greet volunteer, you will be based at our visitor centre, Coombe Park, on the outskirts of Totnes. 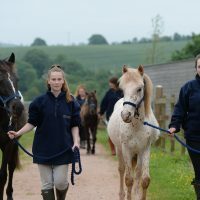 This involves greeting visitors when they arrive, making them aware of the facilities available, telling them about the sanctuary – our aims, mission and day to day running – and showing them to the yard where they can meet the horses. There’s always something that needs tweaking or repairing and the list of general maintenance chores is ever present including cutting the grass, keeping the borders tidy, checking the fencing, painting and plumbing issues. If you have experience or skills in any form of maintenance we’d love to hear from you. At weekends and during events our Coombe Park Cafe can be a hive of activity. It is sometimes a hectic environment serving food and drink, working the till, helping in the kitchen, clearing tables, washing dishes and talking to visitors. People may also need assistance purchasing tack from our shop. It can sometimes feel like a bit of a whirlwind on a busy day but can prove to be a lot of fun. Working on the yards with the stable hands and ponies can be very rewarding but is hard work. 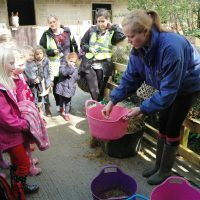 Some of the duties include mucking out, poo picking, turning out horses, grooming, de-seeding fields and yards, soaking hay nets, filling water buckets and troughs and pushing full wheelbarrows. 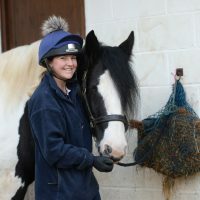 A good knowledge of horses and experience working with them is a huge advantage as the yard can be a busy place. Fill in the online enquiry form and we will send you the relevant forms via email. 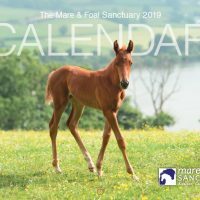 Email volunteers@mareandfoal.org to ask for the forms or to enquire. 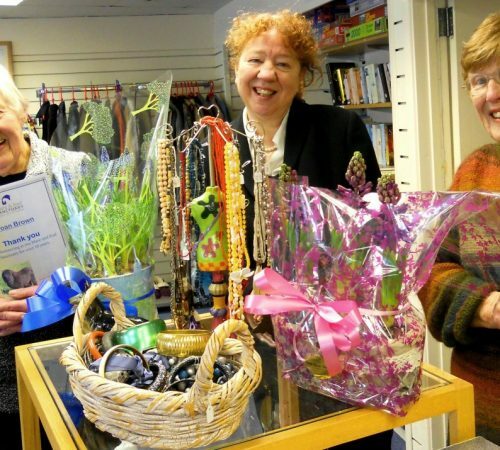 Drop in to your local charity shop or to the visitor centre during opening hours for a chat about volunteering. 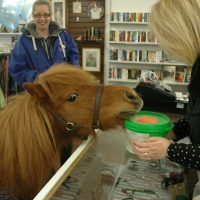 Even the smallest amount of change in your purse can help us with the day to day running of the Sanctuary. 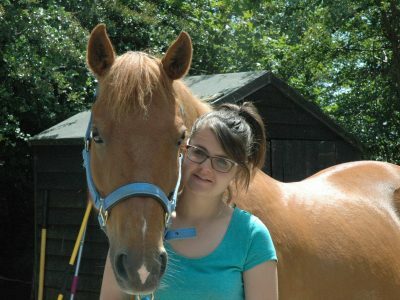 Every horse or pony in our care – and we have more than 200 with us at the moment – is estimated to cost us roughly £7,000 a year in vets fees, food, care and training. 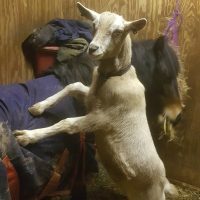 Every penny donated makes a huge difference to the Sanctuary and allows us to continue to rescue, rehabilitate and train neglected, abandoned or mistreated animals. 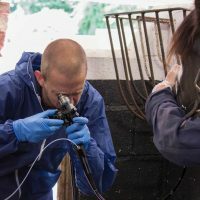 We pay for the training of our staff to make sure they are up to date with the latest equine treatments, equipment and techniques. 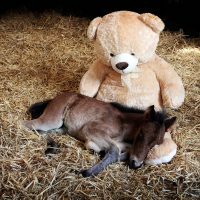 But turning an emaciated wild colt or filly into a companion or riding pony takes years of patience, kindness, gentle handling – and money. 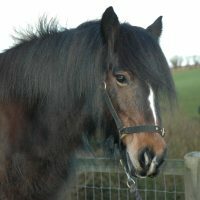 However, eventually we are able to loan out wonderful ponies like Inca. 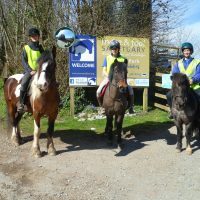 The Dartmoor Hill Pony is now winning rosettes all over the South West with his new family. 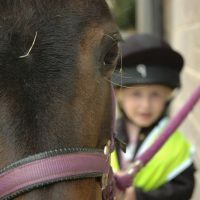 If you are aware of a horse in trouble, we may be able to help – either by giving advice or investigating the cause. We’re only able to operate within the Southwest of England, but we may be able to refer you to a more local or national organisation. If your question is not urgent, please contact us. If your question or concern is urgent, please ring us. Outside office hours there is a recorded message giving an emergency number. Describe the horse as well as you can. Colour, size, and whether there are any other horses on site. Any details you may have about the owner of the horse or the land, and any history you may be aware of. Good directions to the site, including postcode if you can find it. A contact number for any further information.